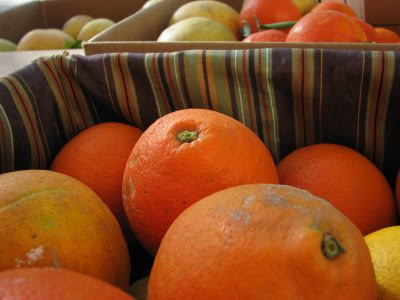 My childhood memories are full with warm, sunny, winter days and picking citrus right from the tree, cutting a hole in the top and squeezing the juice right out of the orange for a quick drink. I also remember groves and groves of orange trees throughout our county. Then as I got older, one by one, they were sold and plowed down for land to build hundreds of houses in rows and rows of look alike dwellings in what we call subdivisions. Shame. I still thrill to see a healthy grove of any kind of citrus. They are beautiful trees when branches are laden with the plump orange orbs. There are still a few large groves near my home and it's harvest time. 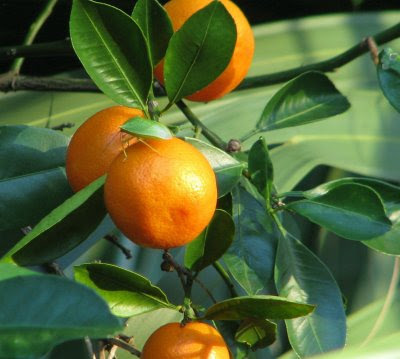 Citrus crops are good business for Florida. There are articles written recently of farmers finding new cash crops to diversify and increase their chances for survival. I don't know that much about it but surprisingly citrus isn't the number one cash crop. Nope. It's actually ferns. My dad grows his own citrus. Not for profit but for his own use and, of course, for sharing with family and friends. 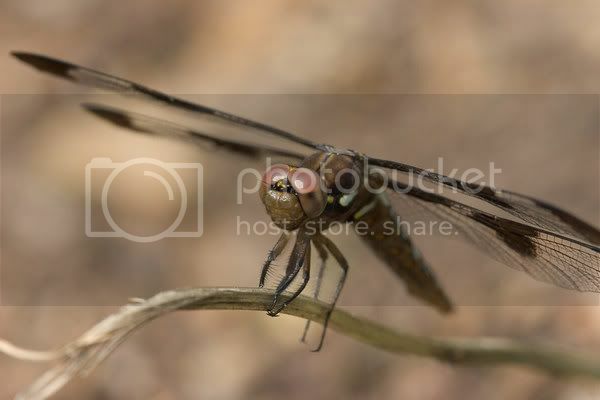 All the photos in this post I took of some of his fruit trees. He lives in Charlotte county, two hours south of me, where the threat of freezing temps is minimal. 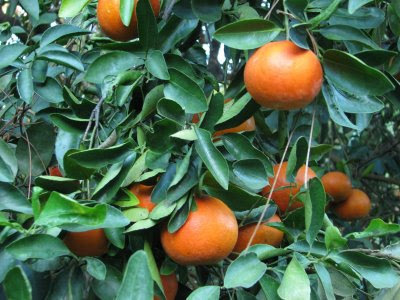 This year, because of the abnormal drop in temperatures in November, all of the citrus is coming off the trees offering particularly sweet fruit. When you grow up with the best of a particular food product somehow it is hard to then purchase that same food in a grocery store. For instance, we always had fresh fish when I was growing up because my dad was an avid fisherman. I just cannot buy fish in the grocery store. I wait until I find it in a fresh seafood market. It's the same for citrus. When in my favorite grocer recently I noticed huge displays of oranges and tangerines as the major focal point in the produce section. It looks pretty enough but it doesn't have the same juicy taste or even texture like the real ones picked right off a tree. On a recent visit to my Dad's house we loaded my car up with boxes of citrus we had walked through his property picking right off of the trees. 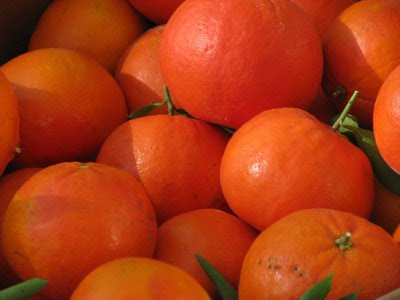 There are at least 6 different variety including pink and red grapefruit. The red is my favorite. So wonderfully plump and juicy. Mmmm....mmmm... yummy! Needless to say I am enjoying the bounty. You can't imagine how many quarts I've sectioned for eating in a delicious mix of no-sugar-added fruit desserts. Then there are the gallons I've squeezed for drinking. There's just nothing better or better for you. Citrus used to be our bread and butter. My hubby's extended family was in the growing and caretaking business which kept him occupied as a teen and young adult. He graduated with from Florida with a degree in Mech Ag, worked in the Ag Eng Dept at UF for a couple of years and then worked his way up to Production Manager of a 4,000 acre grove in south Florida with a well-known company before they began selling off their groves to developers and downsizing - beginning with their upper level management. After 23 years with the same company, my hubby was 55 years old and knew nothing but citrus production. Additionally, we had personally owned 30 acres of those 4,000 but were forced to uproot and burn 20 of the most beautiful and best-producing trees when canker was discovered in a grove within 1800 ft. of our trees. Over those 23 years that Louis was a citrus farmer, we drank gallons and gallons of fresh-squeezed orange and grapefruit juice. There's nothing else like it. Oh, Patricia, you and your family are just the folks I had in mind when I was writing this post. I've read about the canker issues over the years and the waning industry for the everyday farmer. But you have lived it. Have you written about this on your blog? I would love to link back to it. So glad you have your Pollywog Creek... 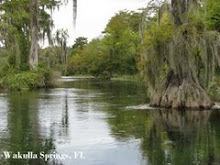 I just imagine it to be a most beautiful and peaceful place where Old Florida reigns supreme. The citrus looks yummy. We're enjoying tangerines from our tree and I'm eagerly waiting to taste one of 3 white marsh grapefruits I've been nurturing along. I enjoy the same memories of acres of orange trees mile after mile alongside highways. I also get excited when we pass healthy groves still in production. 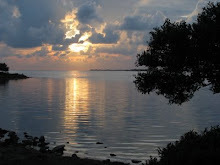 And, then there are the days and eves when the air is filled with the heavy scent of orange blossoms. That's a scent you just can't remove from your memory or soul. 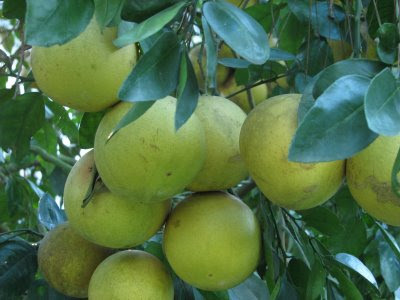 I hope that some growers will continue to grow oranges for as long as I live. I just can't imagine Florida without orange groves. Great pics. I do love fresh oranges. It is definitely my favorite fruit. I guess that makes sense as a 4th generation Floridian. Lucky you! I only dream of picking oranges off trees. Susan, I know you know full well what I'm trying to convey here. Oranges ARE Florida. But the oranges in the markets just don't seem the same most of the time. Lucky you... growing your own fruit... I'm not familiar with the white grapefruit... hope it turns out for you. And, ahhhh, the scent of orange blossoms filling the air is simply too exotic to describe. N.T., too bad I can't easily share my bounty with you. Just a little too far to drive. :-( I sent some home with your sibling tonight... all sectioned out... of course it was for Mr. Mac not Mrs.
this is too funny i was going to post on oranges but i can't locate my photos. i think i might have accidently deleted them. 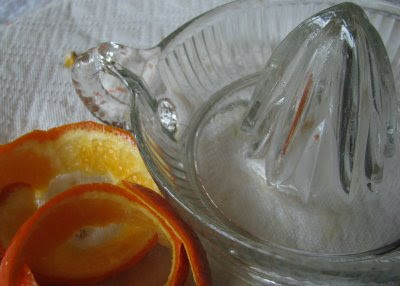 but we have been squeezing the goodness of oranges for our orange juice. gigi sent us a delicious batch of honey bells. we eat so much grapefruit too. usually order from the sunshine state and shipped to us. i loved this post a lot of sunshiny thought in it. as a matter of fact i was going to mention picking the oranges and cutting a hole in the top and sucking out the orange goodness. i guess God knew i needed to see it in print. thank you! i wonder if dad would be to ship some of that goodnes this way, lol. this is the strange thing about our citrus industry - they ship our prime citrus out of state - then we have to buy the stuff in the market sent in from California or Mexico! 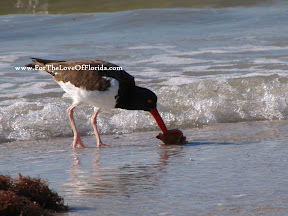 it makes no sense to us Floridians, but it must have something to do with $$'s! you almost have to grow your own to have really fresh fruit or know someone who does! looks like your dad gave you a bounty of delicious home-grown citrus. i still have the same hole maker that i used as a kid for sucking the juice out of an orange! it is indestructible (made of metal), and i even have one made by Tupperware some years back. remember the lush groves we saw when we visited Bok Tower last year? they are still somewhat plentiful in the middle of our state, where not every acre is being developed into endless subdivisions. but if owning and producing citrus is not profitable for the grower any more, who can blame them for selling off their land? What a wonderful post, the colors, the textures, the prose...I could even (almost) smell the citrus. I have fond memories of orange groves myself...and I wish I had memories of Brown Papa fishing and growing and picking and cooking...good stuff. Thanks for the post, and for some of the bounty, which you've *sacrificially* shared with us. I am sure nothing in my supermarket is as good as fresh from the groove. 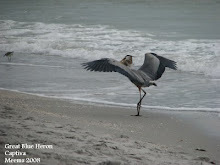 I have enjoyed every trip to Florida I have ever taken. So much wildlife. 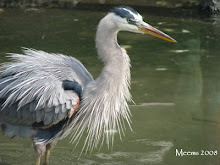 Love your new blog and look. Gigi, I don't like it that the citrus in our own grocer isn't from here ...plus they wax it up and it looks so different than what comes off a good tree. As far as that hole maker... that is amazing you still the same one. In this case, I was picturing my dad's or papa's hands pulling their sharp pocket knife out and in about 2 seconds peeling off the very top of any fresh plucked orange and cutting a hole for drinking. I don't have recall of hole makers. Yes, I remember those groves we saw over in Lake Wales... Polk county still a heavy grower of Florida citrus. Rissalee, Citrus is an icon for our great state so I guess we all memories. We had a raggedy grove behind us until houses were built about 10 years ago. There was lots of fun to be remembered in that old run down grove. The sacrifice was only because the fruit was already sectioned and the juice was squeezed. Happy to share! 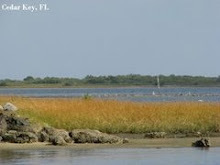 Sherry, Thanks so much for coming over to my Florida blog. 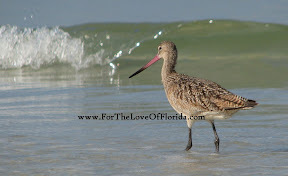 One of the reasons I started this blog was to highlight the wildlife and sheer beauty of so many outdoor places in Florida. I'm so glad to know you liked your visits to my beloved state. Sorry - I just now saw your response to my comment, Meems. No. I haven't written about it in my blog. 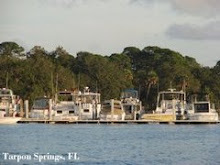 I didn't start blogging until after Louis lost his job with Floridas Natural (August 2004) and began working for the SFWMD (January 2005). Louis and I have talked several times about how we need to preserve the stories from the past. You may have motivated me to do just that. 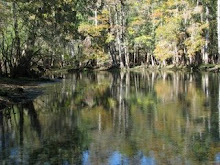 I'll let you know if I write an overview on Pollywog Creek. 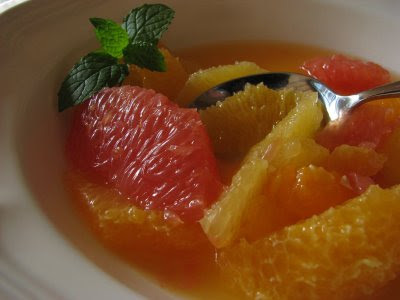 Mmmm, now I want some grapefruit! You were right, I did enjoy this post about citrus. 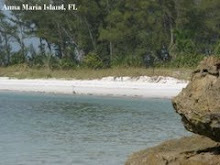 My parents live in Florida, and we plan to retire there someday, so I'm already learning the lay of the land.